In one of the most beautiful corners of Skopelos town lies this wonderful house. It is just below the Milos car park and the Kastro/Castle of Skopelos. It is fully furnished and ready to move into. 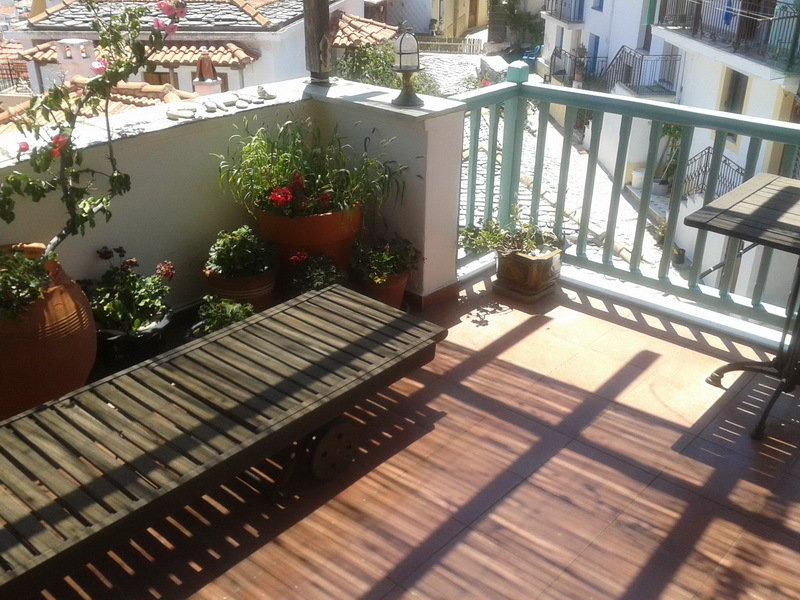 The house has 2 floors and a roof terrace with views over the village and the harbor. On the ground floor are the 2 bedrooms. They both have a double bed. On the first floor is the wonderful living room and the bathroom with toilet and shower area. 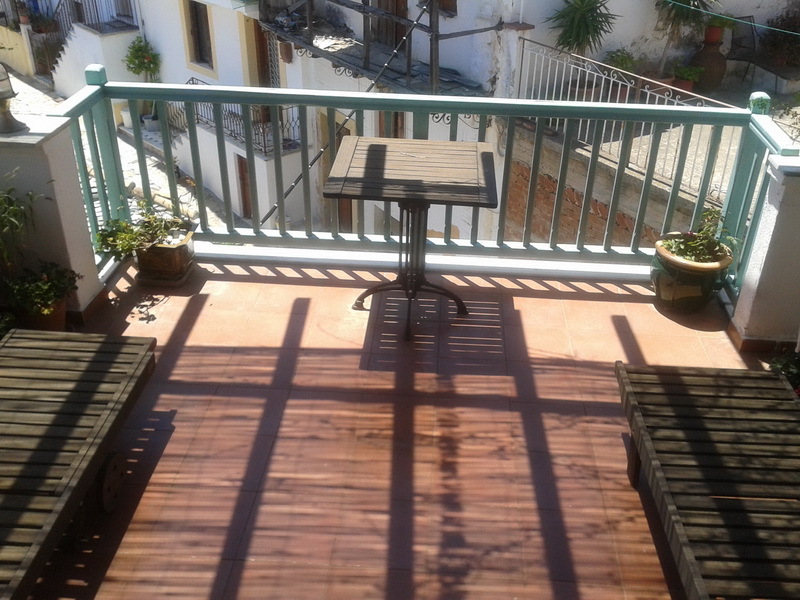 The top floor has a roof terrace but it also contains the kitchen area and the dining area.